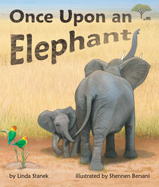 Once Upon an Elephant is a beautifully designed and written story, suitable for children as young as four years old up to four or fifth graders. 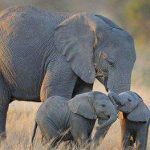 By using a child-oriented language the story tells the important role elephants play in their environment. It shows that their existence is crucial for other species to survive, both plants and animals. 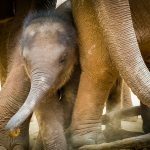 It describes in simple sentences what elephants do and the effects they have on their environment and on other animals who share the same habitat. All facts reflect accurately the interrelations between elephants and their environment. We appreciate the realistic and beautiful illustrations of animals and the African scenery. 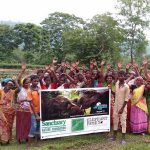 The book not only imparts knowledge about elephants and the purpose of their existence but also includes games and activities plus further information about where to find even more ideas to engage in fun activities, which will reinforce the facts the children listened to or read about.